The YZS-160 oil seed press is an advanced oil processing equipment, it is features by its simple design, easy operation, wide suitability and continuous operation, high productivity and oil output rate. 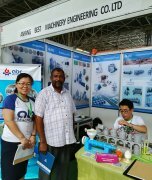 Apart from this, this model oil seed press equipment can be used for various oil seeds and depending on oil content of the particular crop you are pressing, the machine will extract 90-95% of it. For canola and sunflowers, you will get about 300kgs per ton. Soybeans yield are about half and the remaining cake is worth more for animal feed. 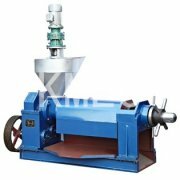 The operation of this model of oil seed press machine is based on the axial movement of the material in the oil expeller machine. There are some tips for the youas follows. 7.5 to 30 hp electric motor was used to power the machine. The electrical heating circles are connected to electricity controlled by electrical cabinet and switch on to heat the machine chamber to increase the temperature of seeds in housing for higher oil extraction rate. Then the oil seeds are fed from the hopper to the expeller chamber pushed by the worm shaft which rotates continuously. When the electric motor is switch on, the main shaft and the auger, which moves and packs the seed being heated along the press chamber to the far side, will start to rotate. 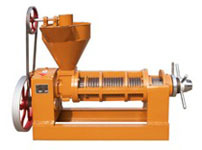 The compression is achieved by decreasing pitch of the auger, designed to act as a screw press. The conditioned seeds are compressed and the oil content forced out through the slots on the chamber. The heating of the seed and high pressure generated at expeller chamber due to drastic reduction in volume, ensured expelling of the oil contents. 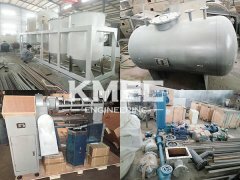 Bigger oil seed presses from 5 to 15 ton/day are available, we also match motor, diesel engines, depending one what you need, we design different size pulley to reach to max capacity and output oil. We also have the small oil press from 1-20tons/day for you to choose. Write to us if you are interested in our oil seed press. We are always ready to serve you!